We are on the search for freelance Approved Driving Instructors to join the Goodwood Motor Circuit Team! 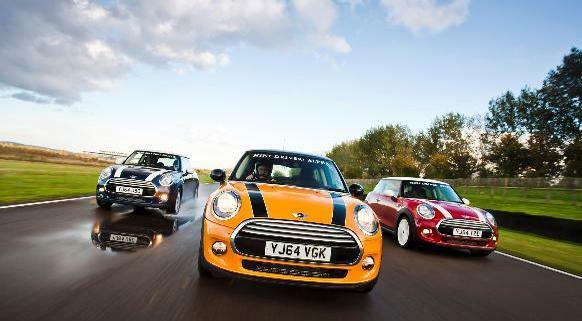 You'll provide the very best in safe driving tuition, as part of our successful Young Drivers Programme, where under-17's (or 1.5m tall and over) are able to get behind the wheel for the very first time at the Goodwood Motor Circuit in an iconic MINI Cooper. With one-to-one tuition from you, our Young Drivers will progress through four specifically designed missions to help them develop their skills and confidence necessary for a lifetime of safe driving. You will coach our Young Drivers to progress through Missions one to three at their own pace on the Dynamic Training Zone. The final mission will take place on the Goodwood Motor Circuit. A Young Driver Log Book is provided to help track their development, that you will sign off once you are confident they have successfully completed each Mission. If you are a confident ADI with a real understanding of delivering great customer service, then get in touch. The positions are freelance with an agreed Half and Full Day rate. Vehicles, fuel, vehicle insurance and public liability insurance are all provided by Goodwood.